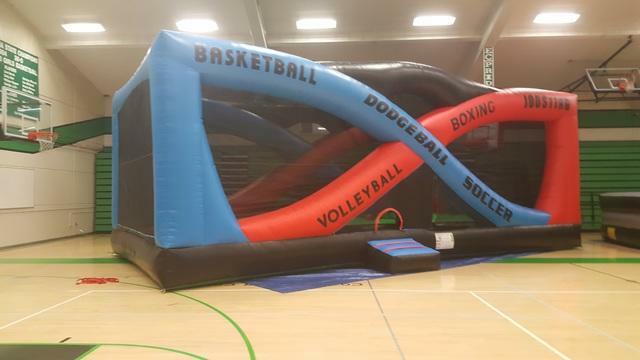 The Sports Fusion is an all inclusive sports inflatable. With accommodations for six sports games, the sports fusion has everything you can ask for inflatable ride. 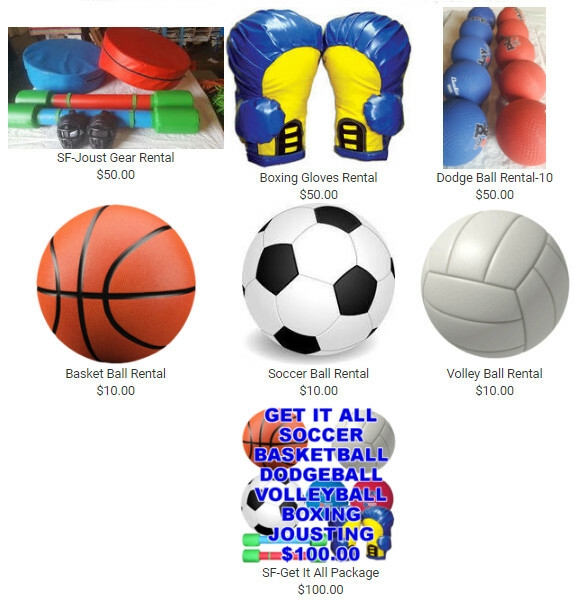 Even if some guest are not big into sports they will surely appreciate the amount of space available to bounce around. The basketball hoops hang high above the spacious soccer nets, allowing to for exciting play. 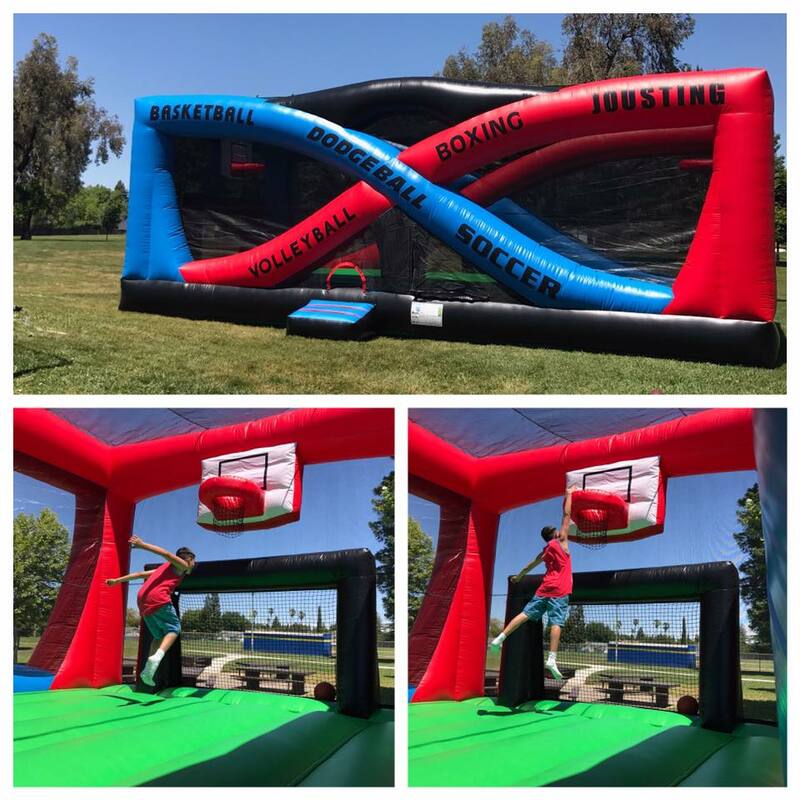 The Jousting Podiums and volleyball net in the center of the ride are removable to allow for the use of the Sports Fusion as a dodge-ball arena or boxing ring. Choose one,two or get the works for only $100 more!